HeatBloc-Ultra has the lowest emissivity of any liquid product on the market today, making it ideal for energy-savings in the attic. HeatBloc-Ultra, a radiant heat barrier coating that blocks over 80% of the radiant heat transfer into the attic and home, substantially reducing energy costs. With an excellent emissivity rating of .19, applying HeatBloc-Ultra can also possibly qualify homeowners for utility company rebates. HeatBloc-Ultra was tested by the Reflective Insulation Manufacturers Association (RIMA) and has the lowest emissivity of any liquid product on the market today. It also offers almost no odor and very low VOCs. 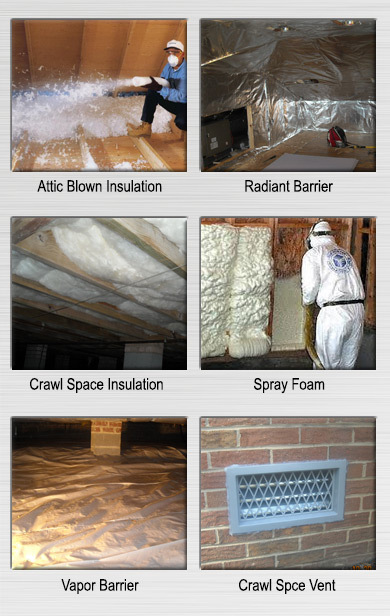 This environmentally-friendly coating is also easy to apply, working very well in confined attic spaces. HeatBloc-Ultra may be applied by brush, roller, or sprayer. Like HeatBloc-75, the original and industry-leading radiant heat barrier, HeatBloc-Ultra offers low emissivity and high reflectivity, yet is permeable thus not trapping moisture in the attic. HeatBloc-Ultra is designed to be applied to the underside of the attic deck or the underside of a roof to significantly reduce the amount of radiant heat entering the structure, thereby reducing cooling requirements. This excellent investment can save 10 to 15% on AC costs while improving the overall efficiency of existing insulation. An excellent replacement for foil or metalized plastic film radiant barriers, HeatBloc-Ultra is one of the only economical ways to retrofit a radiant heat barrier since it may be safely applied in enclosed spaces. Unlike foils, HeatBloc-Ultra does not block cell phone, dish or antennae signals. This can all be installed at low cost for long term results.